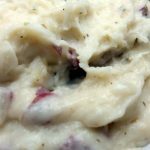 Mashed potatoes, a foundational comfort food. Just think of all the things you can do with a potato. You can bake it, fry it, roast it or boil it. 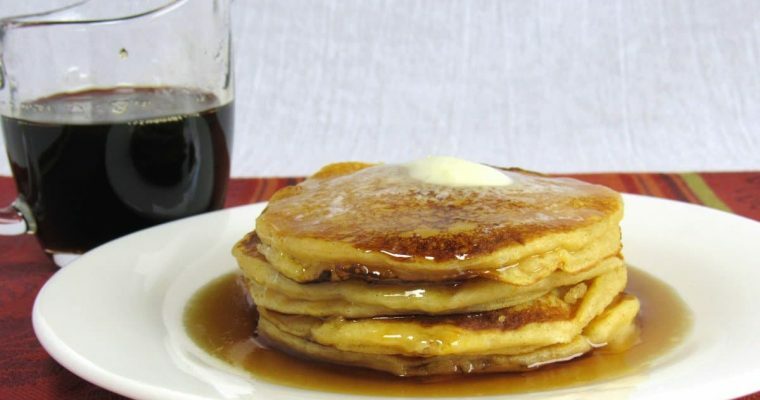 You can make french fries, hash browns (diced or shredded), potato pancakes, scalloped potatoes and on and on. 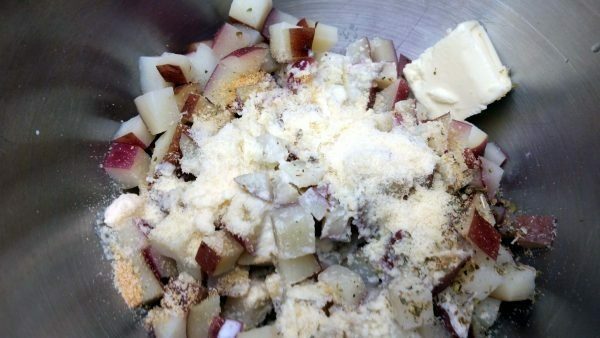 For me, there is no more comforting way to consume potatoes than mashing them. 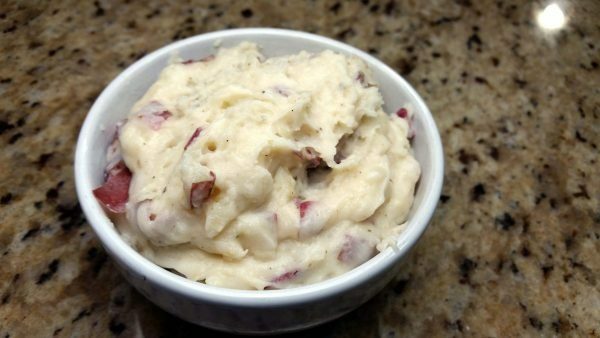 This recipe will reward you with rich, creamy, flavor-packed mashed potatoes sure to become a favorite. Milk instead of half and half is ok but it does make a difference in the flavor. It’s hard to know how much salt is in salted butter from brand to brand so I use unsalted. These potatoes can be served plain as a side or try topping them with my recipe for Garlic Beef with Mushrooms for an experience you won’t soon forget. 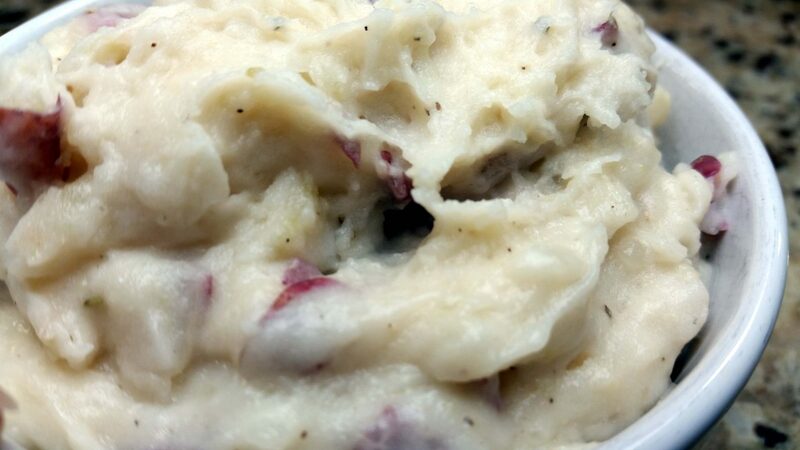 Recipe for rich, creamy mashed potatoes packed with flavor. 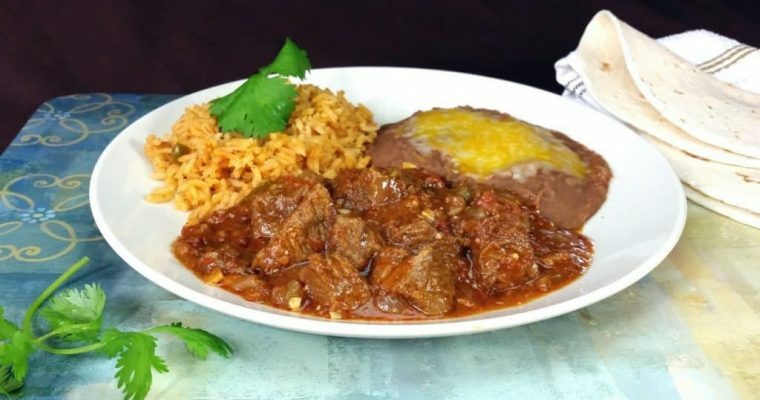 Super easy to make and sure to become a regular favorite for your meals. 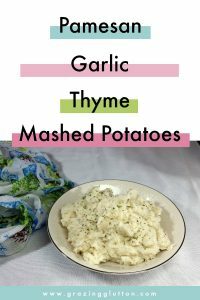 Dice potatoes, garlic and put them in a pot with half of the thyme and enough water to cover 1 inch and boil until tender. Drain water and put in a bowl with all the other ingredients. I use my Kitchen Aid stand mixer with the wire whip attachment. 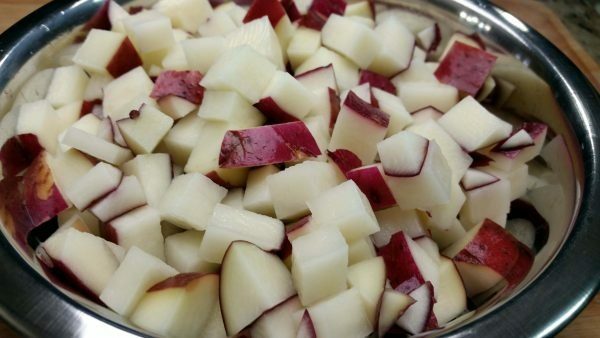 Beat or mash until all ingredients are well combined and potatoes are the desired consistency. Serve hot.